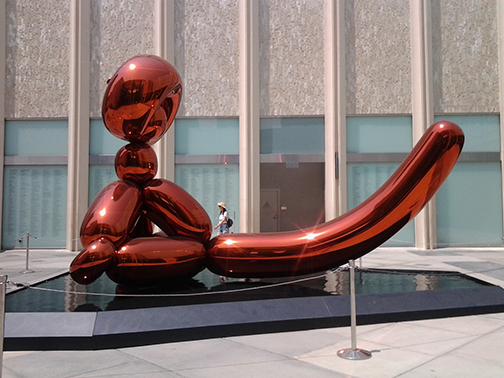 Jeff Koons, 2006-13. Mirror-polished stainless steel with transparent color coating, one of five unique versions. Muses Investment Holdings Limited. This installation was organized by the Los Angeles County Museum of Art. Major support provided by Larry Gagosian.